The Loftus Park precinct on opening day. Developed by Redefine Properties and Abland, the first phase of the dynamic, green mixed-use Loftus Park opened in Pretoria on the 29th of March 2018. 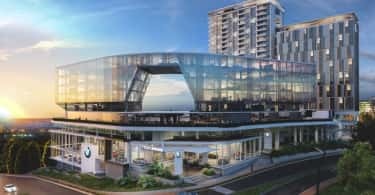 Introducing some 34 000m2 of A-grade office space, the development plays host to a premium gym, open air piazza with restaurants and a convenience retail.The Loftus Park precinct will be accredited as a 4-Star Green Star Building. The retail and restaurant mix has been designed around the importance business of healthy, balanced living which supports its office space with a curated variety of convenient supplementary and post-work essentials. Now open with the first phase of the precinct are anchor brands Checkers, Dis-Chem, and PNA, as well as a premium level Virgin Active health club. Loftus Park’s restaurants Casa Bella, Turn & Tender, Salsa, Rocomamas, Vovo Telo and Seattle Coffee Co also welcomed their first guests. Services now available at Loftus Park include Postnet and Levingers, as well as bank ATMs from Nedbank, Capitec, FNB and Absa. Health and beauty brands include Sorbet, Sorbet Man, and Eyeland Optometrist. Situated next to the legendary Loftus Versfeld Stadium, its retail and restaurants are also ideal for game days, and it offers match goers additional parking. There is also more to come; a new 152 room Protea Hotel by Marriott will debut at the site. Phase Two, which will add another 7 600 m2 to the Loftus Park development, will see a hospital join the precinct, as well as 13 000 m2 of office space in Phase Three. 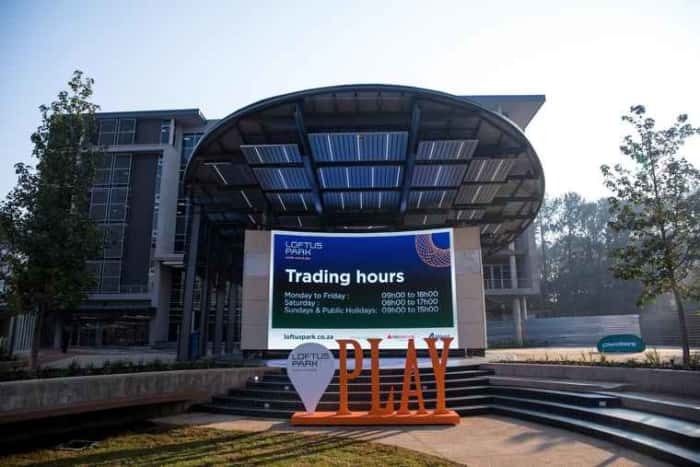 “The opening of the first phase of Loftus Park realises its vision of being an iconic mixed-use precinct that provides an integrated work and play environment and is positioned to ignite the greater node around it. The precinct continues Redefine’s proven track record of developing bespoke communities that are real assets for their communities and their cities. We are particularly proud of this green development that enjoys the advantages of connectivity, walkability and green spaces, and pleased to be a part of this community” comments Pieter Strydom, Commercial Asset Manager at Redefine Properties. Loftus Park is centrally located within the heart of Pretoria’s sporting, cultural and diplomatic hub at the epicentre of the city’s key suburb of Arcadia. It is next to the landmark Loftus Versfeld Stadium, within walking distance from the University of Pretoria and the Pretoria Boys & Girls High Schools, and it enjoys excellent proximity to a vast number of embassies, the Union Buildings and museums. The developer’s investment has also put Loftus Park’s directly onto the Gautrain network. A Gautrain bus stop adjacent to the precinct now connects it seamlessly to Centurion, Sandton, Rosebank and OR Tambo International Airport via Hatfield. “Abland, in close partnership with Redefine Properties, is pleased to bring one of the most exemplary mixed-use precincts in Gauteng to life. Loftus Park sets a new standard for quality precincts in Pretoria, and seamlessly brings together business and leisure in one vibrant destination,” says Grant Silverman, Marketing Director, Abland. The development of Loftus Park has created a rare opportunity for business and retail to position themselves in prime space within one of Pretoria’s central, connected and upcoming nodes. 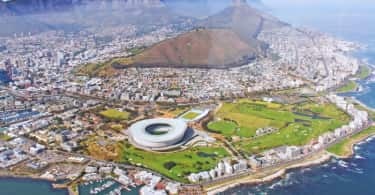 “The attractive dynamics of Loftus Park, which will be elevated even further as Phase Two and Three come to market, has prompted robust interest from corporates who wish to benefit from an unequalled address with unrivalled amenities including superb transport links,” concludes Strydom.